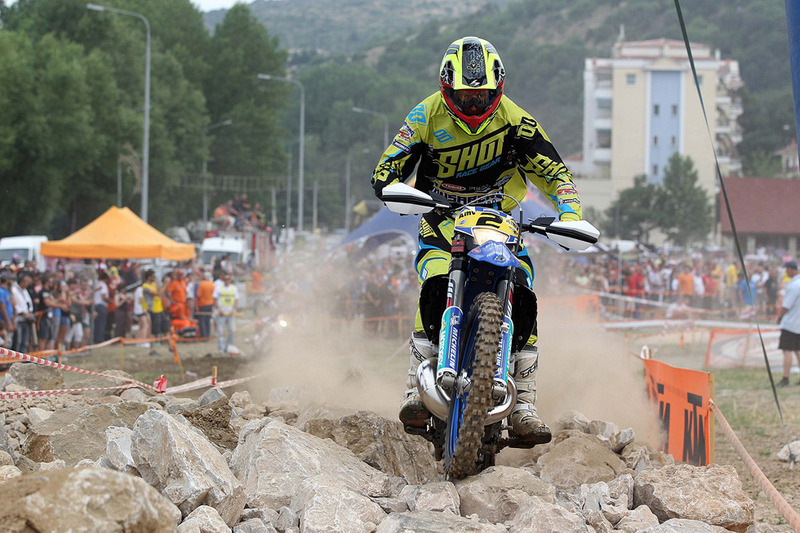 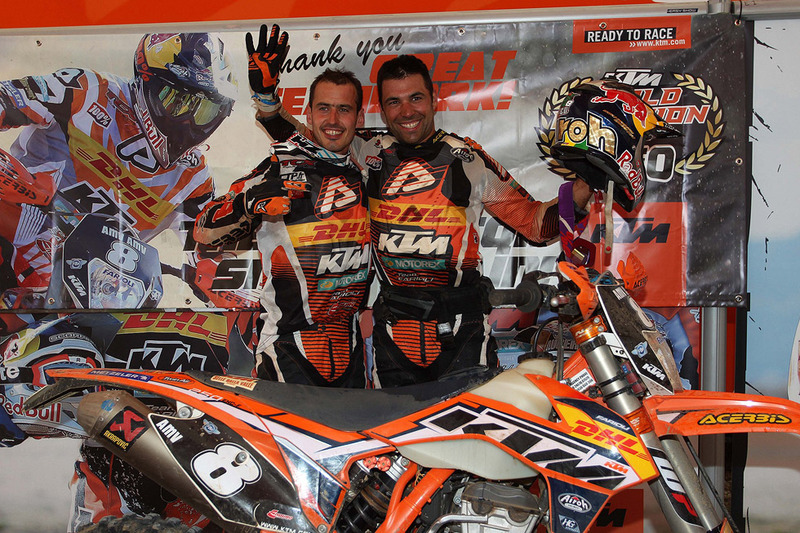 KTM’s Antoine Meo and Christophe Nambotin continued their almost uninterrupted run of success in the E1 and E3 World Championships in Kastoria Greece at the weekend to seal both 2013 world titles with two rounds of the competition still in hand. 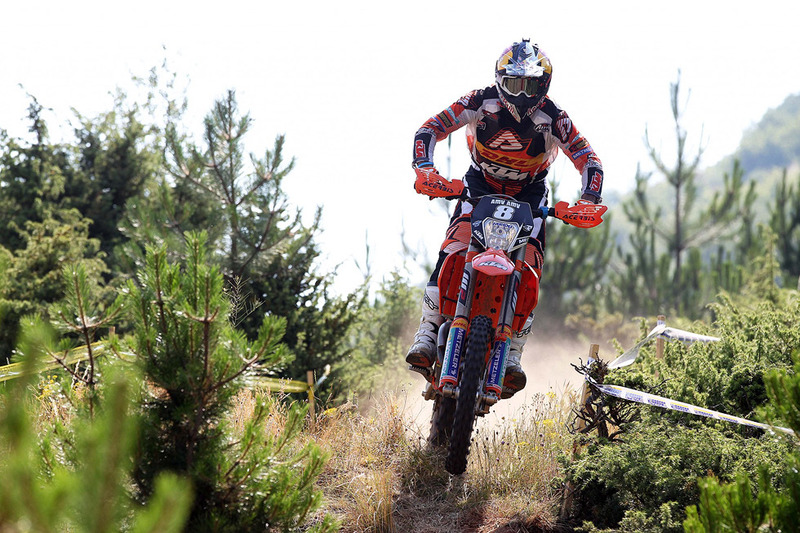 KTM can also add two additional titles to their already impressive honors list as the Manufacturers Award for both E1 and E2 also go to the Austrian offroad specialist. 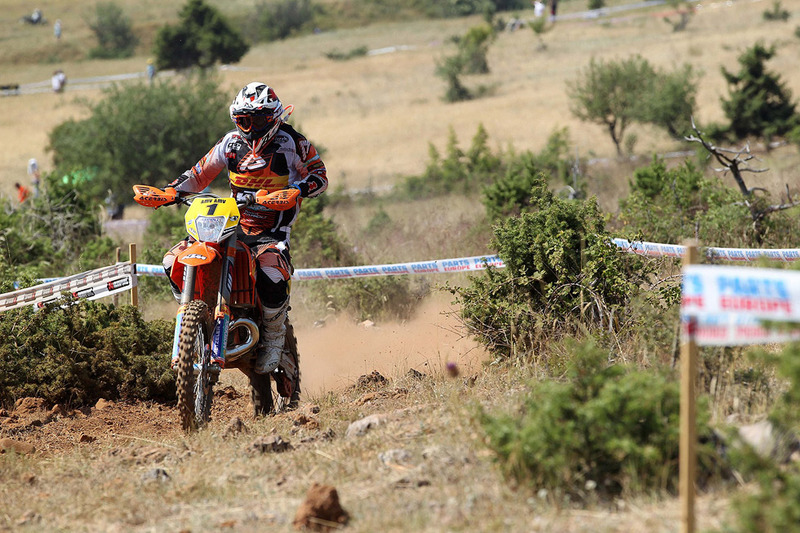 The two French factory riders have both had an almost unblemished record in the twelfth round of the competition (from a total of 14) and at the GP of Greece performed no differently. 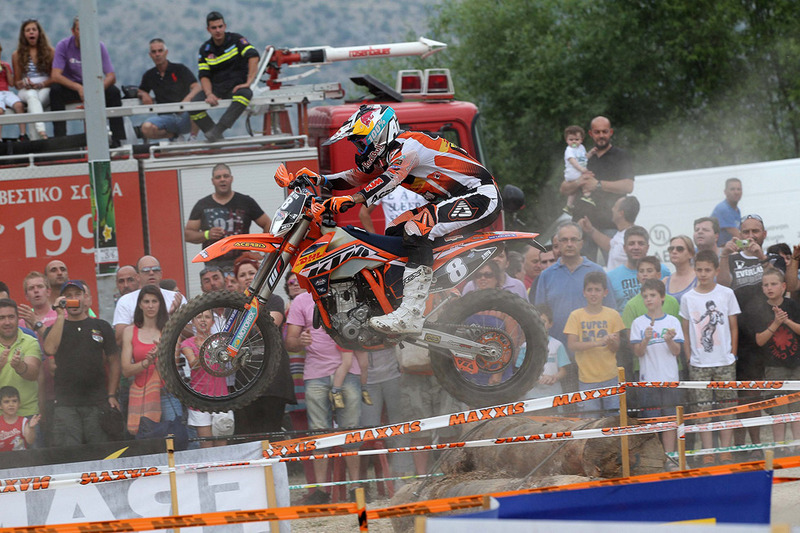 Both picked up double wins in Kastoria to reclaim their world titles won for the KTM factory team in 2012. 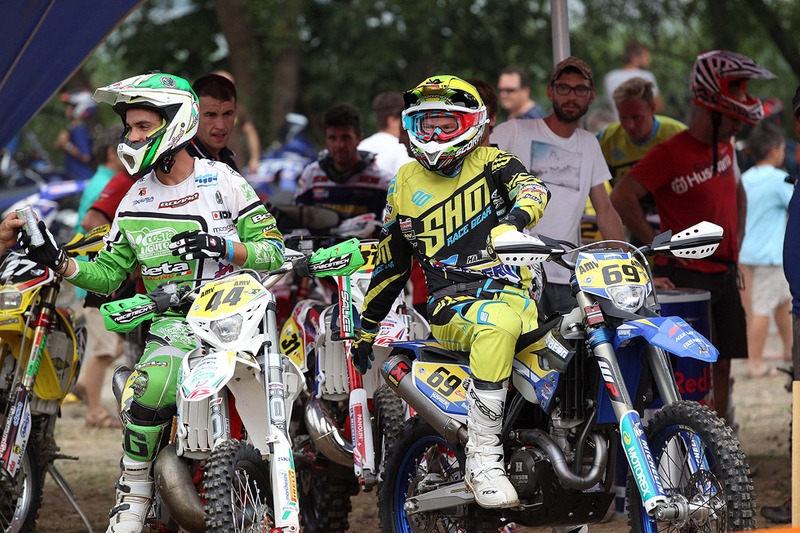 They can now return to France for the final two rounds in September and enjoy the accolades that will come their way from the enthusiastic French fans. 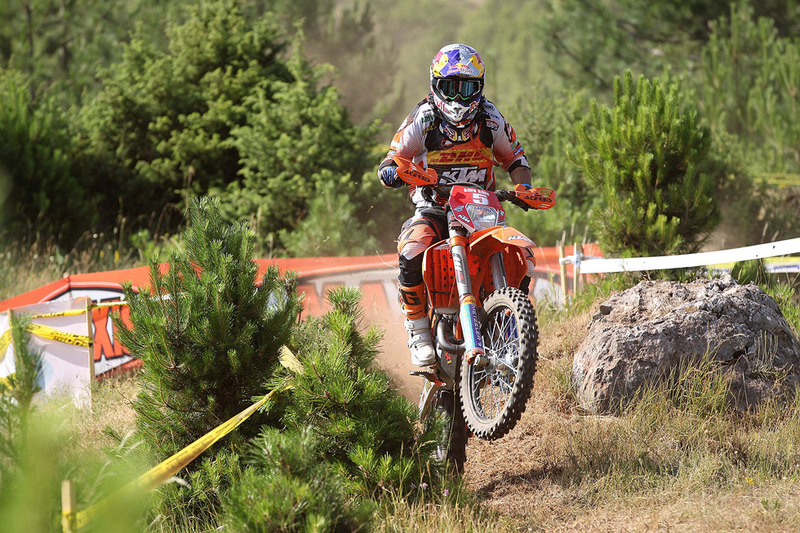 The weekend started strongly for the KTM riders on Saturday although Meo had to fight his way back into contention to recover a 12-second deficit after an uncharacteristic crash in Friday night’s KTM Super Test. 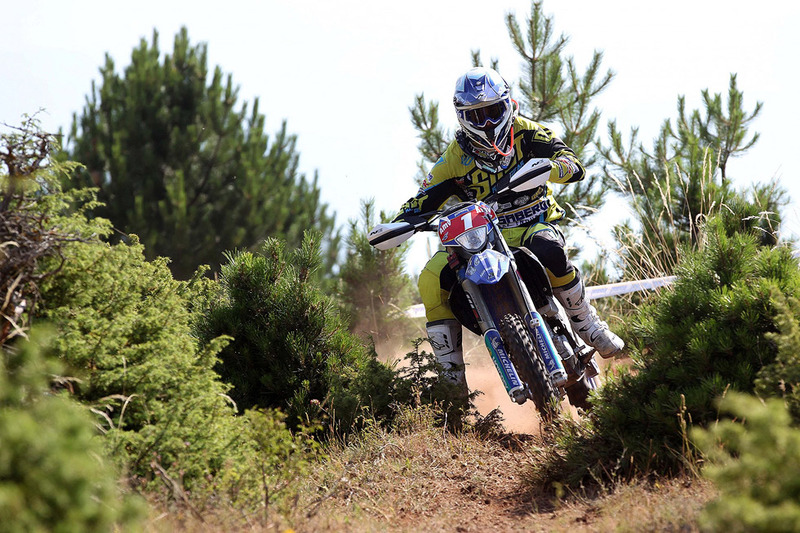 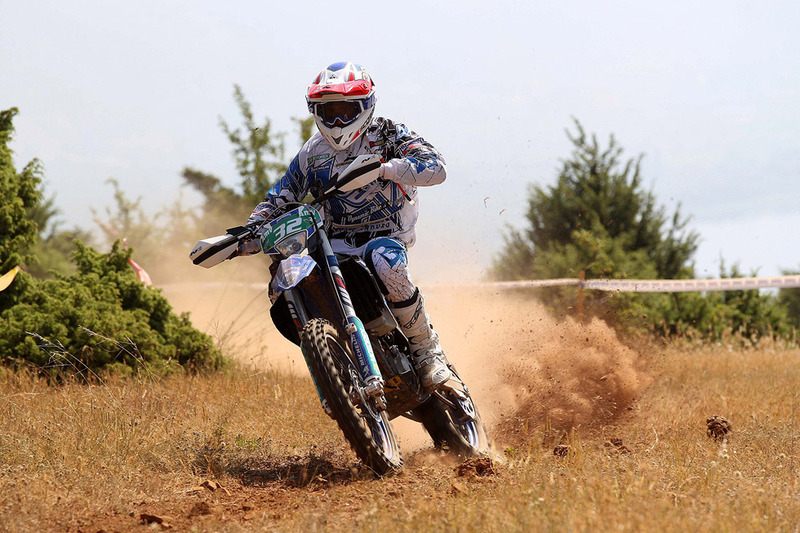 But after a string of strong rides in the first half of the day he had reached his ascendency and was in overall lead by the second Enduro Test. 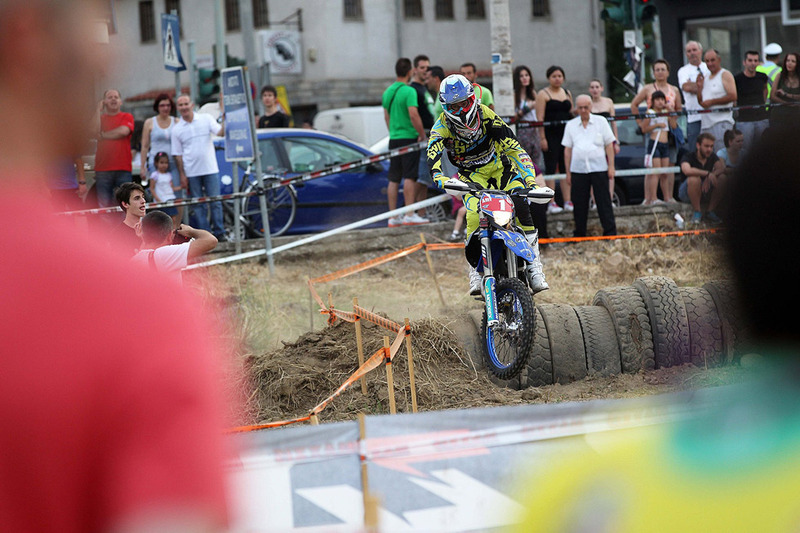 From then on it was business as usual. 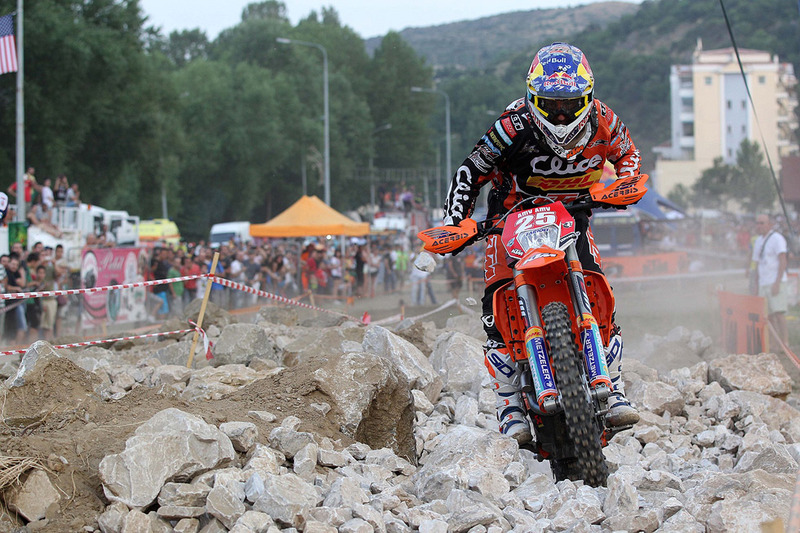 “Winning the first test really helped me to catch up and once I got into the lead I just tried to maintain it. 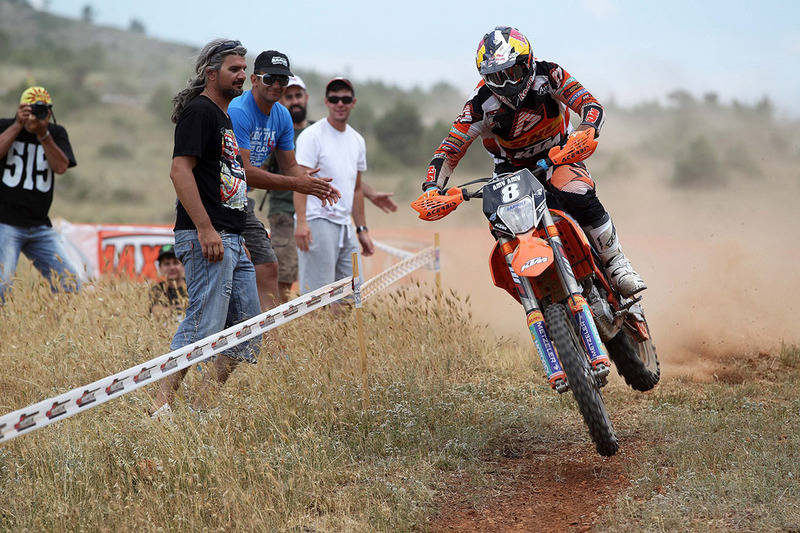 Thankfully it all turned out good in the end,” Meo remarked after Saturday’s test. 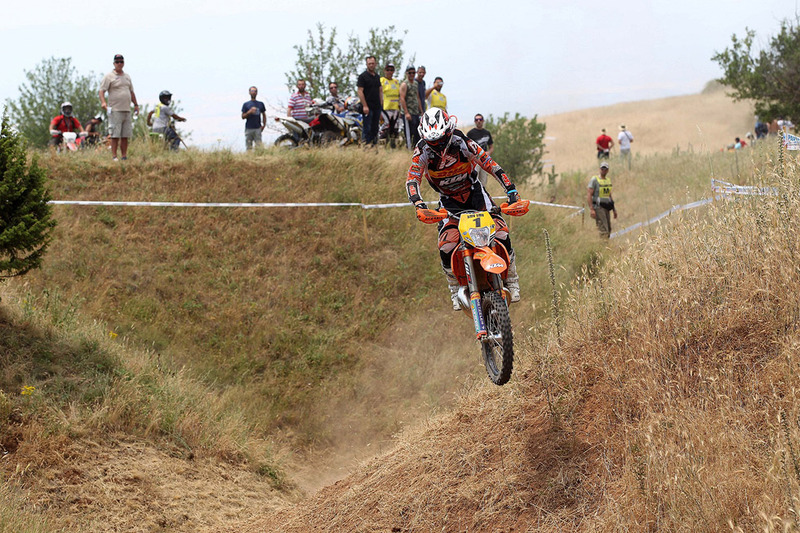 He was also well supported in E1 this weekend with Spanish teammate Cristobal Guerrero picking up a pair of well deserved podium seconds. 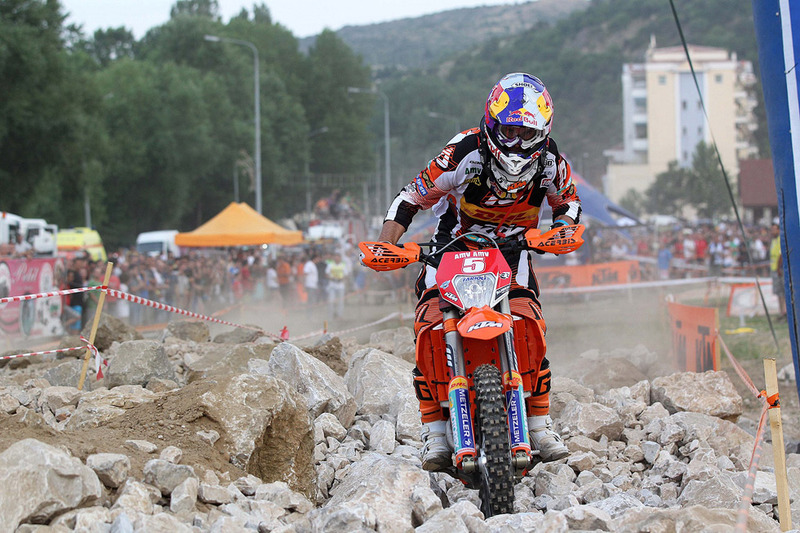 Meanwhile in E3, Nambotin charged through all of Saturday’s tests in blistering form with the exception of an eighth place in the second Extreme test. 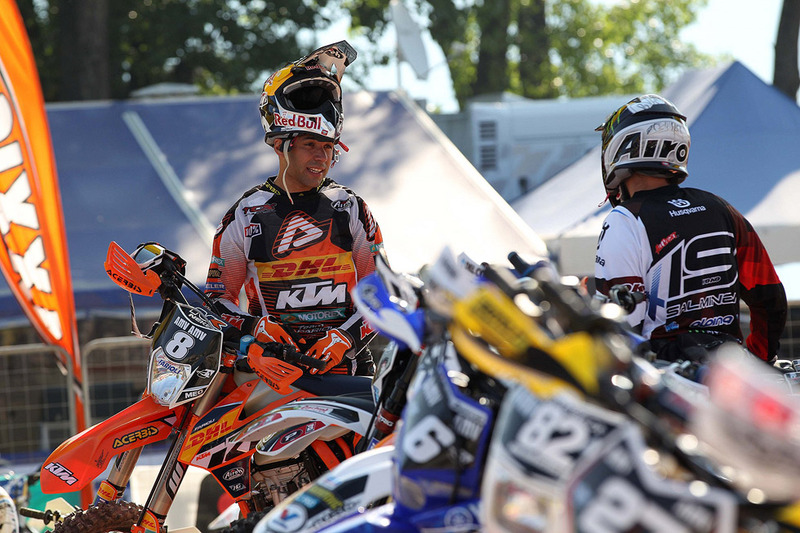 He didn’t even lose his overall lead. 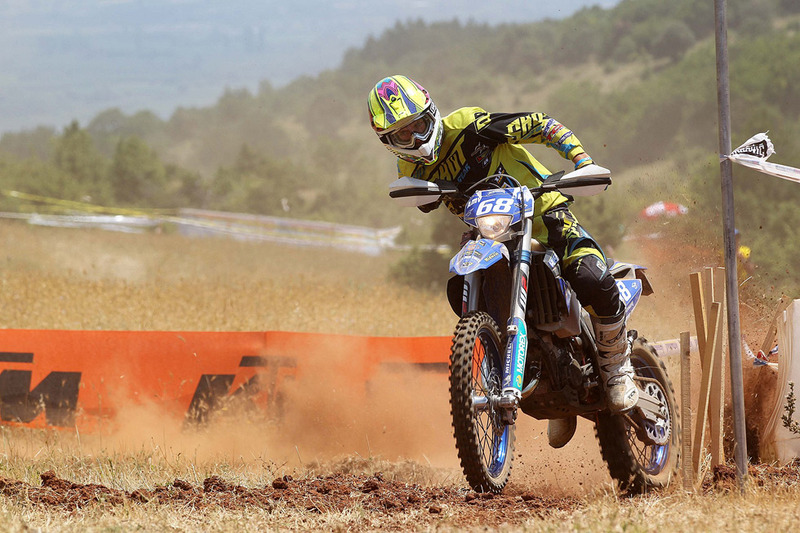 On Sunday, he finished third in the opening cross test but retook the lead after the second test and never looked back from that point in time. 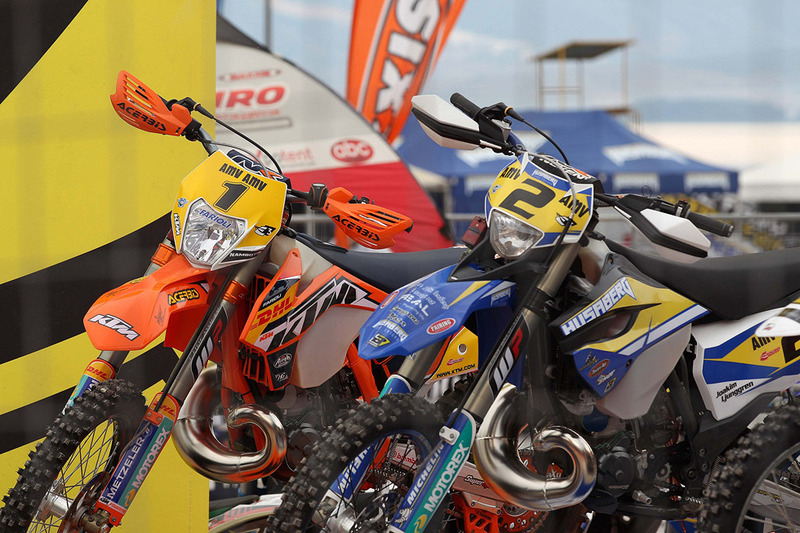 The E2 team of Johnny Aubert and Ivan Cervantes both had their moments of brilliance and disappointments in Kastoria. 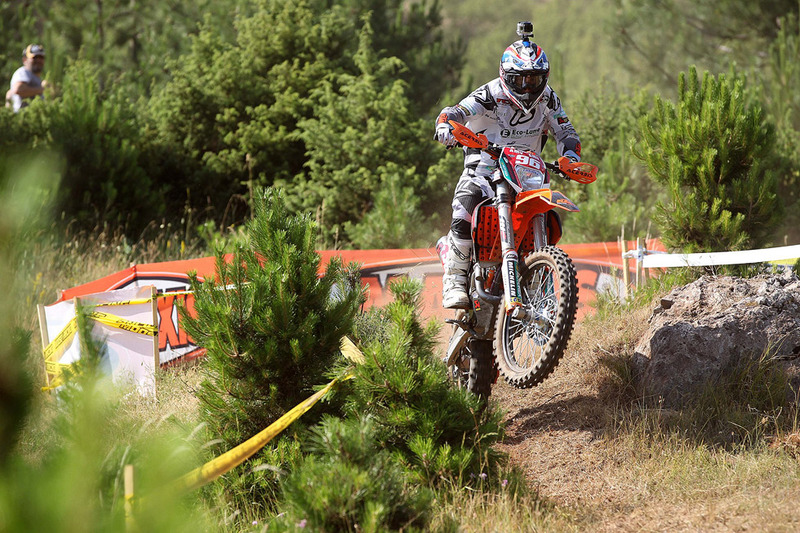 Cervantes had a substantial crash in the second Enduro Test on Saturday and fought hard to make up the deficit to finish overall fifth. 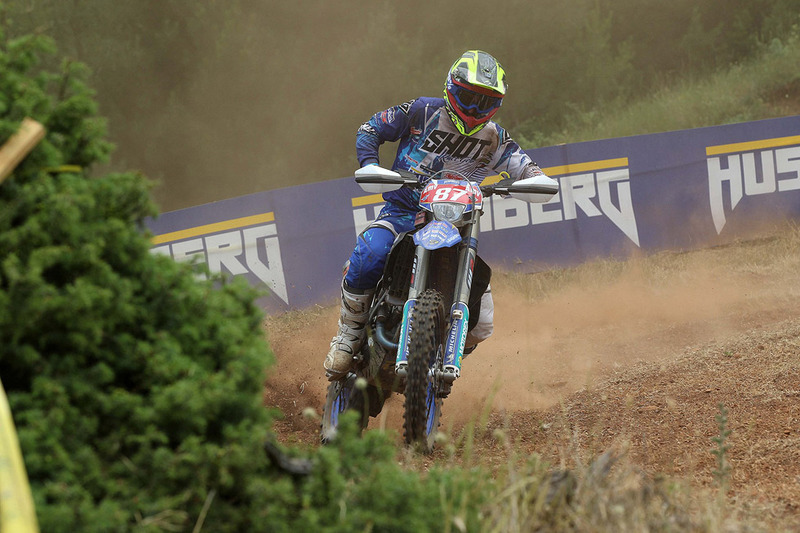 Aubert also had a problem in the third cross test but was still rewarded at the end of the day with a podium third. 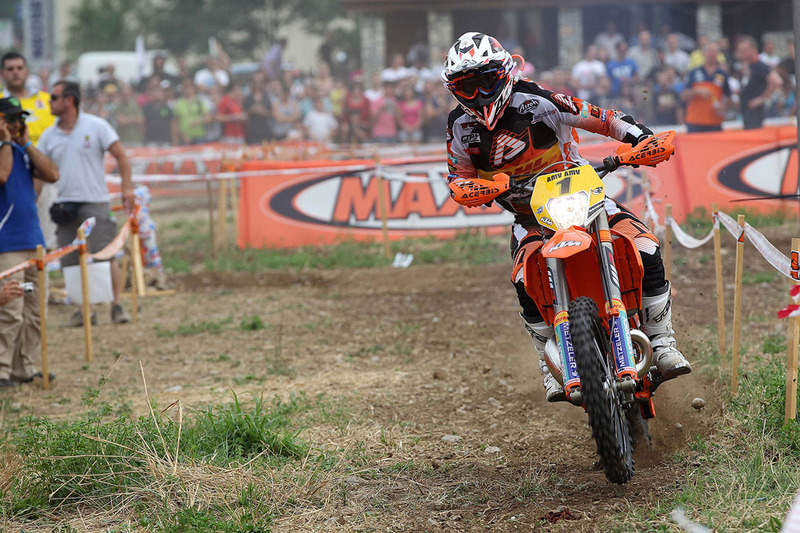 On Sunday Cervantes rallied to take the podium third, while Aubert finished fourth after a solid ride. 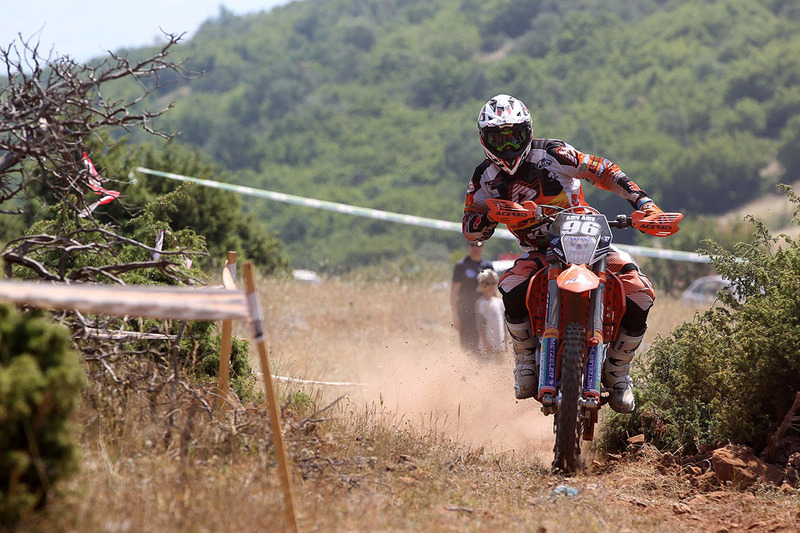 Riders and teams were confronted with searing heat, especially on Saturday negotiating their way across the challenging cross and Enduro tests in the mountains around Kastoria. 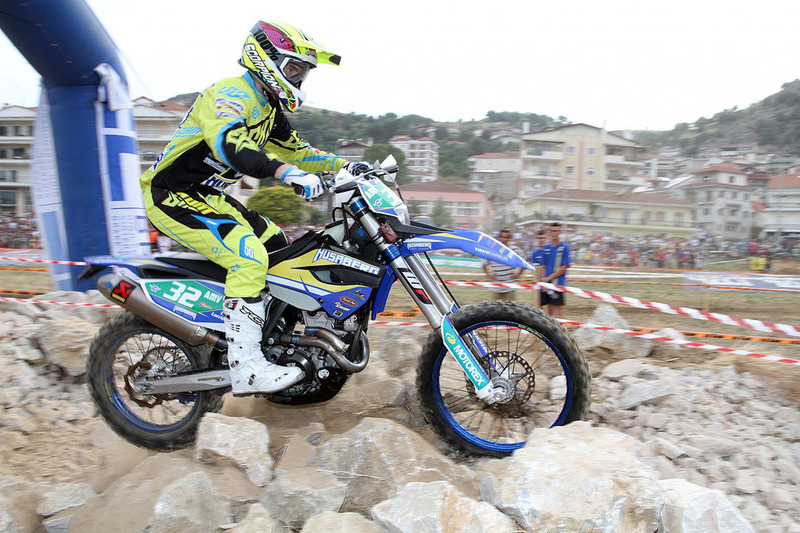 The extreme test was on the shores of the lake at Kastoria.